President Donald Trump has won a judge’s permission to build a border wall with Mexico. Now he just needs the money. A judge who was taunted by Trump during the presidential campaign sided on Tuesday with the president on a challenge to building the wall. U.S. District Judge Gonzalo Curiel rejected arguments by the state of California and advocacy groups that the administration overreached by waiving laws requiring environmental and other reviews before construction can begin. “Big legal win today,” Trump tweeted in response to the ruling. He didn’t mention his prior remarks about the judge’s Mexican heritage. Despite the victory, Congress has yet to fund the wall and Trump’s demands that Mexico pay have gone nowhere. This month, the Senate rejected a request for $18 billion that was part of a package including sharp cuts to legal immigration and permission for young immigrants to stay in the country after they were temporarily shielded from deportation under an Obama-era program, Deferred Action for Childhood Arrivals. 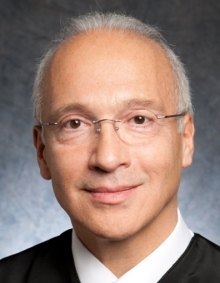 “The court cannot and does not consider whether the underlying decisions to construct border barriers are politically wise or prudent,” Curiel wrote. Curiel wrote that the law certainly “is not a model of legislative precision” and that both sides made plausible arguments, preventing him from making a clear finding that the administration overreached. During arguments this month, the judge peppered both sides with questions about the law’s meaning. He showed strong interest in a requirement tacked on in late 2007 for Homeland Security to consult other federal agencies, state and local governments, Indian tribes and property owners to minimize the impact of construction, which challengers said the administration failed to do. The Center for Biological Diversity, which sued along with the state of California and three advocacy groups, said it would appeal. Construction can proceed for now. The Animal Legal Defence Fund said it may ask the U.S. Supreme Court to intervene. The Sierra Club said the environmental and other reviews are critical to protecting border communities, but the group didn’t discuss its next step. 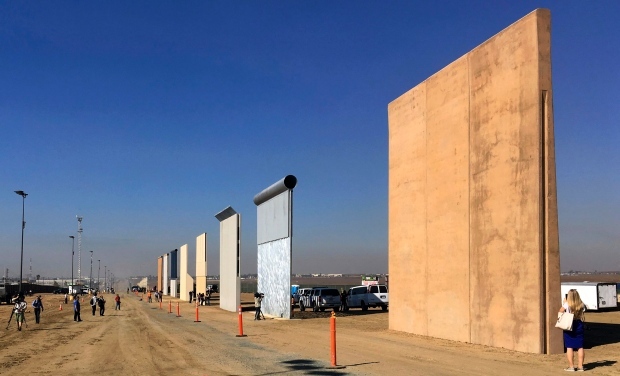 The decision came days after construction began on a 9.1-metre-high barrier in Calexico, Calif., the administration’s first wall project outside of eight prototypes in San Diego that were completed in October and are intended to guide future construction. Both projects carry a relatively small price tag and were funded last year.